No ‘distinguished jurist’ in sight? 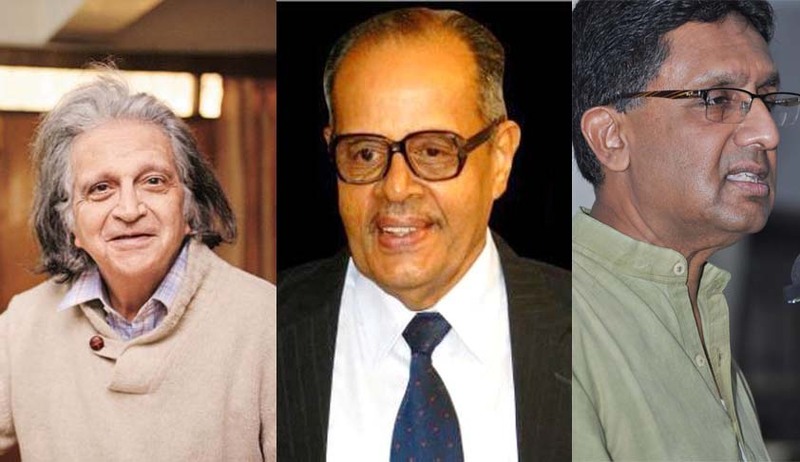 'In 67 years of Independence, the Presidents of India have been looking with a telescope and have not found any jurist worth appointing as a Supreme Court Judge! So obviously jurists don’t exist in India. Hence, I think this is a dead issue', said Prof.Upendra Baxi in an interview to Livelaw. sworn in on Friday as Judges of Supreme Court of India. With these appointments, the total strength of the Supreme Court is now 29, as against the total strength of 31. The appointments have also increased the total number of Judges to be directly elevated from the Bar to seven. Justice S.M. Sikri, Justice S.C. Roy, Justice Kuldip Singh, Justice Santosh Hegde, Justice Rohinton F. Nariman, Justice U.U. Lalit were the other Judges directly appointed from the Bar. The eligibility for being appointed to the Supreme Court of India has been laid down under Article 124 (3) of the Constitution of India. Article 124(3) mandates that a person shall not be qualified for appointment as a Judge of the Supreme Court unless he is a citizen of India and (a) has been for at least five years a Judge of a High Court or of two or more High Courts in succession; or (b) has been for at least ten years an advocate of a High Court or of two or more High Courts in succession; or (c) is a distinguished jurist, in the opinion of the President. While appointments from the Bar have been rare, the option of appointing a distinguished jurist has not been explored at all. Constituent Assembly Debates had referred to the American example where President Roosevelt appointed Felix Frankfurter, a Professor at Harvard Law School for 25 years, as an Associate Judge of the American Supreme Court in 1939. History has it that the clarity, force, and intellectual substance of Frankfurter’s opinions made him one of the most respected Supreme Court Judges. Even among the current Judges of the American Supreme Court, Justice A.M. Kennedy, before being nominated to the Supreme Court by President Reagan in 1988, was a Professor of Constitutional law for 23 years. Justice R.B. Ginsburg, another current Associate Judge of the U.S. Supreme Court, taught for 17 years including at the Columbia Law School before becoming a Judge. Regrettably in India, 66 long years after the Constitution was adopted, both the judiciary and the executive have consistently ignored this clear constitutional mandate. Prof. N.R. Madhava Menon, Prof. Dr. Mohan Gopal, Prof. R. Venkata Rao and several others have also contributed immensely to the academia, albeit in their own fields of expertise. It has been opined, and rightly so, that their ability to theorize and conceptualize would certainly raise the bar of legal reasoning up by several notches. It is hence imperative that the focus now be shifted to appointment from all the three categories, as suggested by Article 124 of the Constitution of India. When Senior Advocate and prominent politician, Mr. Salman Khurshid was inquired about his views on the academic community being ignored in the matter of appointments under the ‘jurists’ category, Mr. Khurshid had said, “It is high time that we give our outstanding academics their due.” I think most of us duly concur.